Hello friends! It’s been a while since I’ve cranked out a blog post. 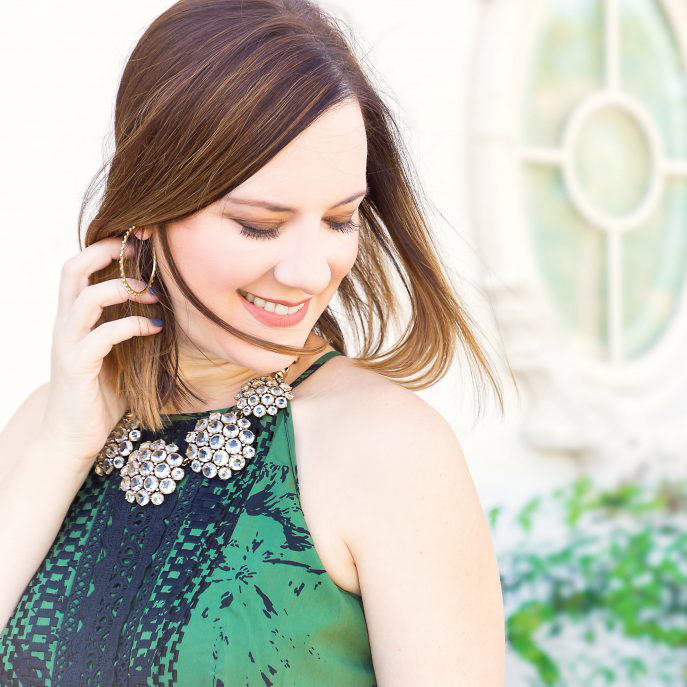 The beginning of the school year has been hectic, but I’m loving getting back into a routine. I will be much better about posting as I have tons of new content! 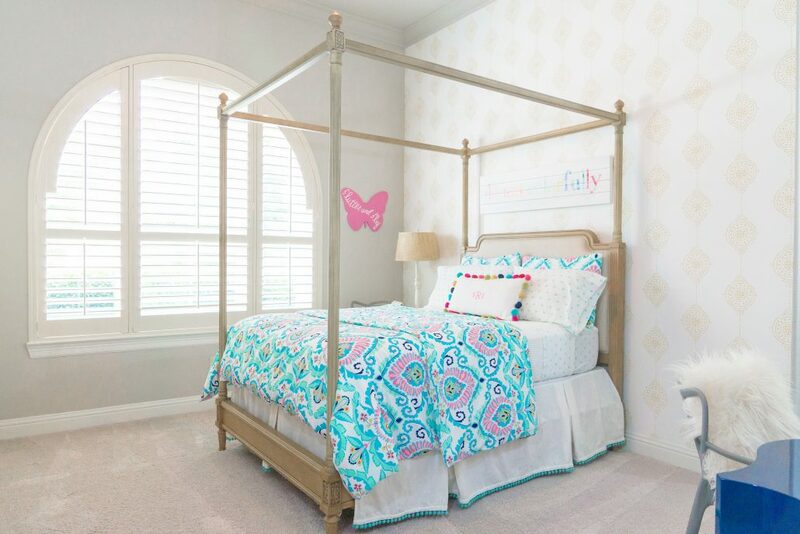 After our home flooded in Hurricane Harvey I knew that I wanted our kids bedrooms to be finished first and ready for them when we got to move back home. 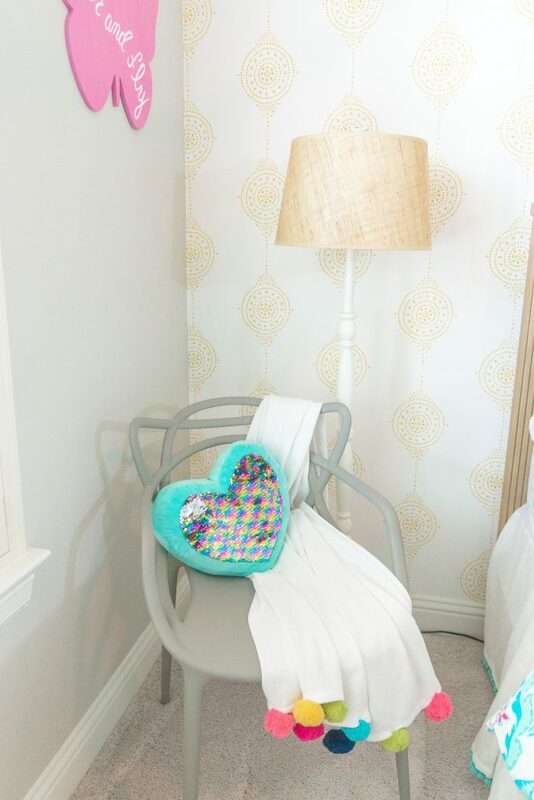 I’ve shared our son’s room and now for the big girl bedroom reveal! The entire room revolved around this beautiful wallpaper. As with most of the decisions made in this room, I gave my daughter a few choices and she decided the made the final selections. I love her choice of wallpaper! While the duvet cover is sold out you can still find the sheet set and bedskirt online. 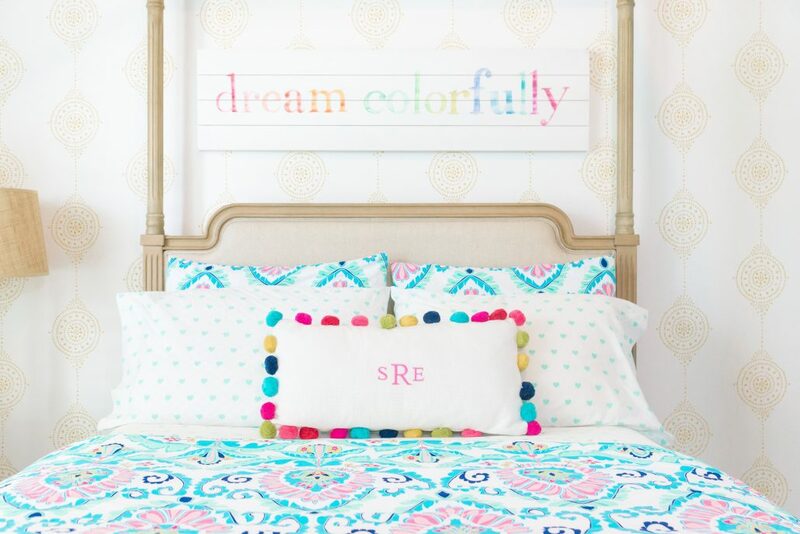 Sophie loves color so we wanted a big pop in her room. However, if you know me very well, I’m more of a neutral lover. 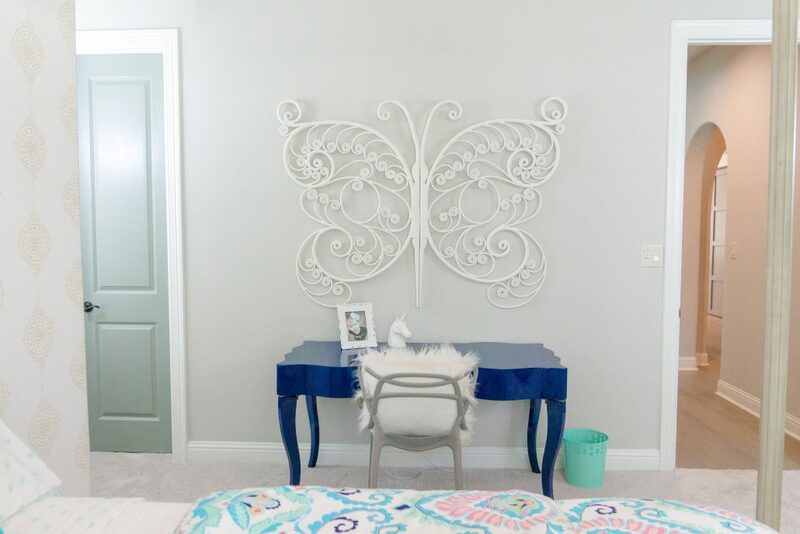 We compromised by coordinating neutral walls and furniture with pops of color in the decor and accent pieces. 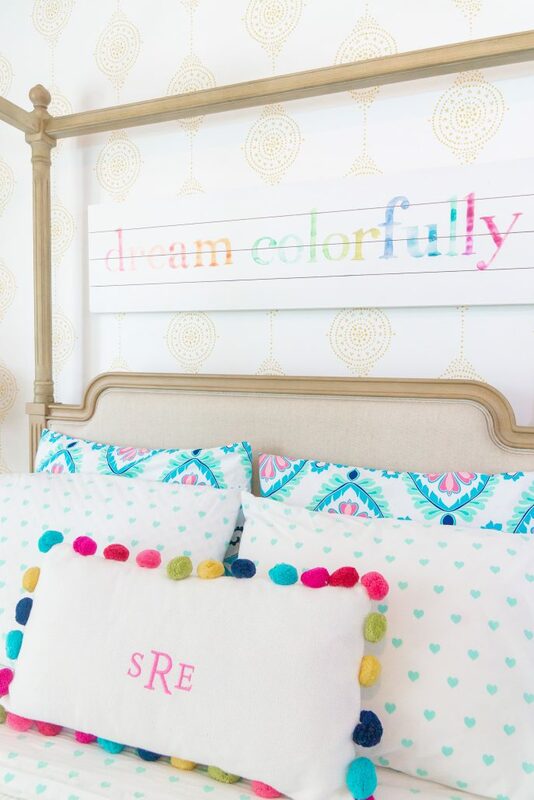 This dream colorfully sign definitely sets the tone for the room. I adore this bed and dresser combo. These are pieces that I believe will grow with our girl and be able to be styled in many ways throughout the years. The revolving bookcase comes in a couple of colors. and I find this changed up almost daily. Sophie loves moving her things around and organizing often! 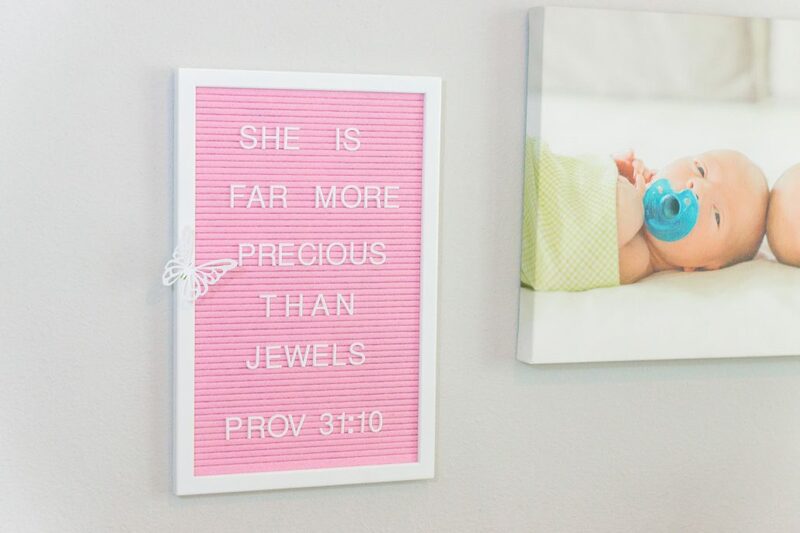 This little message board is one of my favorite activities with Sophie. We change it up often with scripture or messages to one another. I snap pics of it so that I can always remember this special season in our relationship. 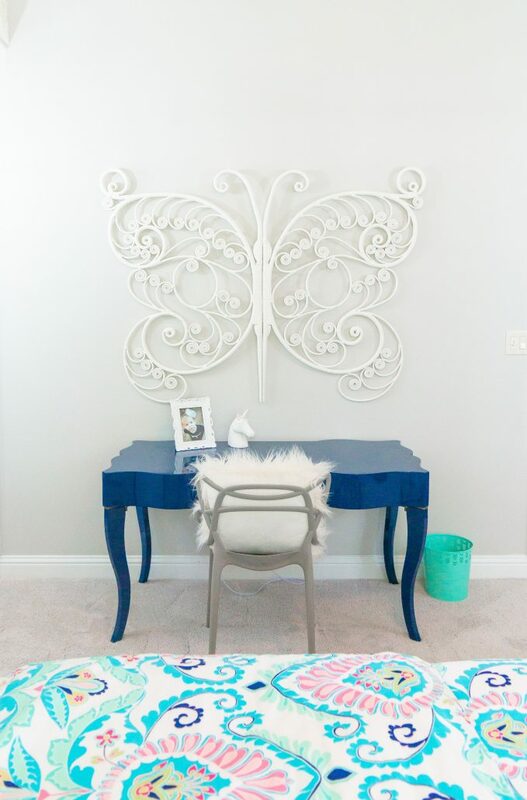 This oversized butterfly is a showstopper! It’s also more than 50% off! If you need BIG impact piece this will do the trick! You may have noticed that this desk used to be in my office. I just couldn’t get used to such a bright color and Sophie loves it so win-win! This desk is sold out but here’s a similar desk with a much better price point. We have a pair of chairs in the room, one at the desk and one next to the bed. They are not only cute but also wipeable, which is my favorite part! Our girl wrapped up in this throw blanket with a book, almost every night. This pillow coordinates with the throw blanket. 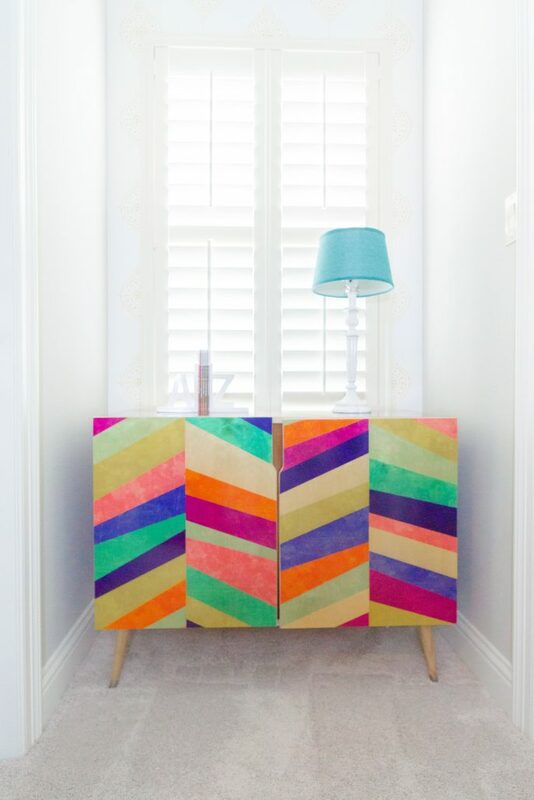 I scoured the internet trying to find this exact credenza but it’s sold out. Here are some exact styles (HERE, HERE and HERE) in different colors. ALL so cute! 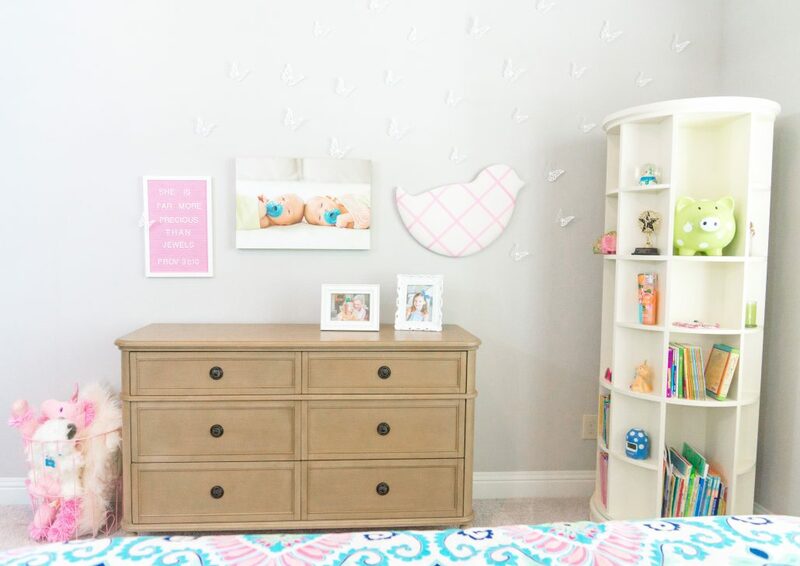 Decorating this room with my daughter was definitely one of those silver-linings in the flood. It made her room feel extra special to her and sharing the project was priceless. Stay turned for more reveals coming soon! Have a great week, y’all!